This page covers Staffordshire families in the maternal line of Pam's grandmother Elizabeth Harding LOWE. The narrative starts with fourth great grandfather John HARDING. John was baptised in Maer, Staffs in 1762 the son of John Harding. Nothing else is known of his parentage. He married Elizabeth and had at least three children. Between 1801 and his death in 1837 his residence is recorded as Millbank. This was a hamlet on the Western extremity of the parish of Maer close to the parish of Mucklestone with Woore on the border with Shropshire. Elizabeth died in 1827. No siblings of John have yet been identified. Moses was the second son of John and Elizabeth Harding. His date of birth is uncertain as the age recorded on census returns varies considerably. He was baptized in Mucklestone with Woore in 1801. Moses married Elizabeth Smith from Prees, Shropshire in Maer in 1823. They had five children born variously in Silverdale, Audley, Keele and Kidsgrove where the family had settled by 1842. Moses worked initially as a furnace labourer and by 1861 was described as furnace manager. In 1871, his occupation was recorded as night watchman. Elizabeth died in 1873 and Moses in 1881. Of Moses' siblings, Samuel (1786) worked as a shoemaker in Millbank all his life. He married Hannah in 1815 and they had eleven children, but only three survived into adulthood. Following Hannah's death, Samuel married Martha Downing in 1852. He died in Maer in 1865. Nothing is known of Joseph (1804) except that he was baptized in Maer. John was the first child of Moses and Elizabeth Harding. He was born in Silverdale and baptized in Madeley in 1823. John began his working life as a colliery labourer. In 1845, he married Elizabeth Rowley from Wolstanton. The family settled in Kidsgrove where their five children were born and where John worked as a sawyer. Elizabeth died of typhus fever in 1856. John remained in Kidsgrove where he died in 1891. Of John's siblings, Hannah (1828) married William Cook and had nine children in Kidsgrove where William was a sawyer. Eliza (1836) married James Lockett from Bunbury, Cheshire. They had two children in Kidsgrove where James worked as a collier. Charles (1839) worked as a forge man in Kidsgrove until his death in 1863. Ann (1842) married Jacob Jones and had four children in Kidsgrove where Jacob worked as a bricklayer. Emily was the third child of John and Elizabeth Harding. She was born in Kidsgrove in 1850 and married Peter Lowe in 1871. They had eight children of their own and later adopted a daughter of Emily's brother Moses. Peter was employed variously as miller's apprentice, colliery labourer, stoker and iron moulder. Emily died in Kidsgrove in 1907 and Peter in 1914. Of Emily's siblings, Rachel (1846) married Jabez Hancock who was employed as a colliery engineman. They had five children in Kidsgrove, two in Thursfield and one in Dukinfield, Cheshire. George (1848) worked as a bricklayer. He married Emily Jukes. They had one child in Sandbach, Cheshire before moving to Wigan, Lancashire where a further four children were born. 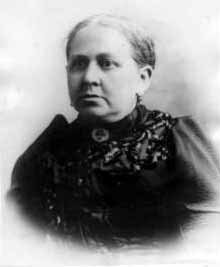 Sarah Ann (1854) married James Stanier and had nine children in Kidsgrove where James was a coal miner. Moses (1855) was an engine fitter in Kidsgrove. He married Mary Ann Alcock and had two children - Sarah and Emily. Ann died in 1885 and Moses in 1887. In 1891, both children were living with Moses' sister Emily. Sarah subsequently died in 1895.